Hi guys! I'm almost done with this very long and stressful week. I'm very tired so I hope I can be coherent in this post. Today, I finally got my China Glaze winter (Let it Snow) collection polishes from the nailsupplies.us website. I also got some other stuff which I will show you in a bit. 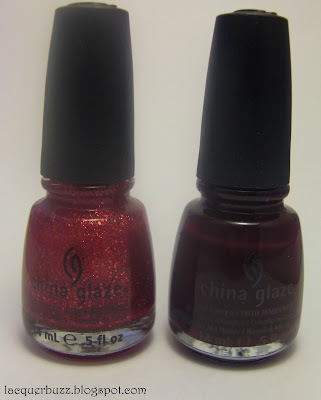 The China Glaze Let it Snow polishes are 2-coaters except for Ring in the Red which is more of a layering polish because of the sheerness of its base. 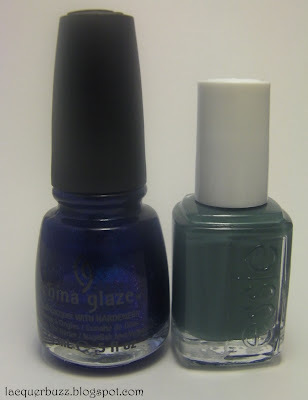 I've tried it on a nail wheel and 3 coats were still sheer. Essie School of Hard Rocks is from the winter Cocktail Bling collection and it's such a gorgeous and unique dusty green. I can't wait to use it and I think I will show you the polish on my nails tomorrow so stay tuned! 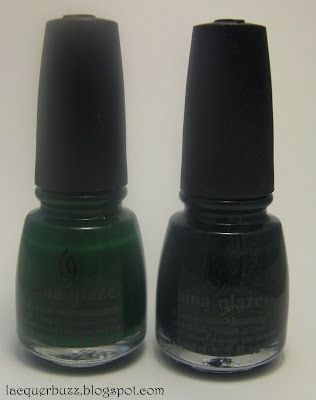 China Glaze Atlantis was an older lemming of mine. It's just so gorgeous in the bottle and it even has a holo effect, as you can see in the first picture. 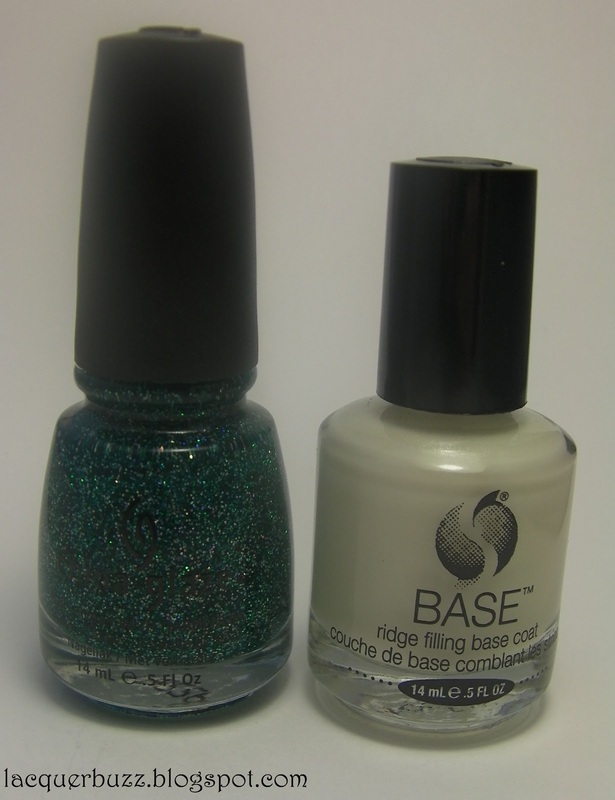 I also got the Seche Base to try and I hope that the fact that it has toluene in it will not stop me from using it. So what do you think of my purchases? 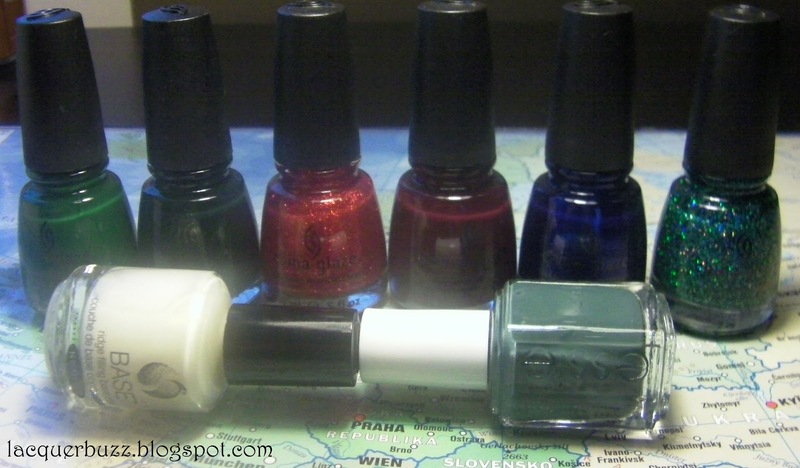 Do you have your eye on any of these polishes? I hope my post wasn't too hectic. Thank you for reading and have a great day! Fun Sunday: 20 questions tag! Fun Sunday: join me on Pinterest! My design is on The TraceFace Philes! Fun Sunday: they nailed it!